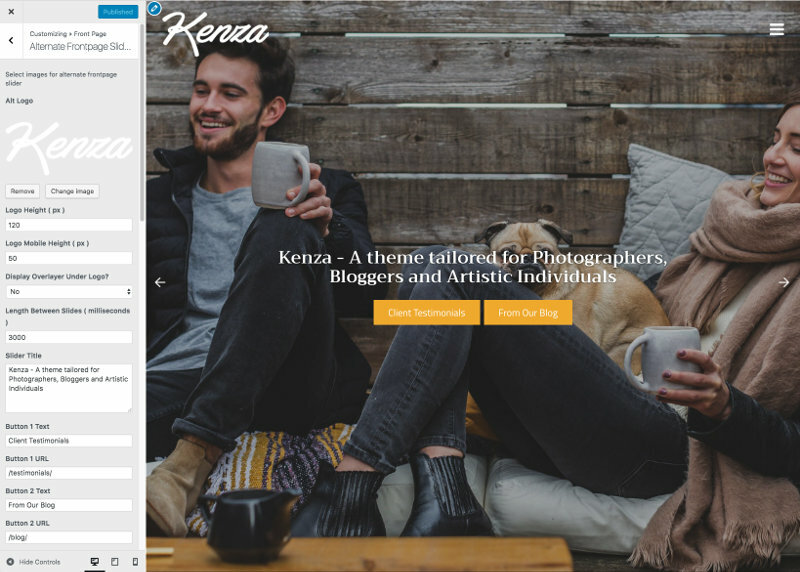 Kenza Pro is equipped with a beautiful alternate Frontpage design, designed for users who want to showcase some beautiful images. This alternate frontpage includes a 6-slide slider, with heading text and call to action buttons. The layout is designed to only display the image slider, and the mobile nav. There is no page content, no widgets and no clutter. This is a great way to let your imagery speak for itself. How to set the alternate homepage ?